EPS PCB Technologies is a NAVI MUMBAI based company . WE are specialist manufacturers of prototype and small batch PCBs. We are dedicated to providing a PCB service that will help PCB designers bring their projects to market on time and on budget. EPS PCB Technologies Printed Circuit Board Assembly, Design & Manufacturing. Provides the Fastest Delivery of PCBs Starting from next day (Express Service). Best Quality at very Competitive prices. DELIVERED ON TIME - EVERY TIME"
Provides the Fastest Delivery of PCBs Starting from next day (Express Service). Best Quality at very Competitive prices. Minimum Order Quantity 1 . EPS PCB Technologies Assembly & Manufacturing that specializes in PCB Prototype and low volume PCB production. 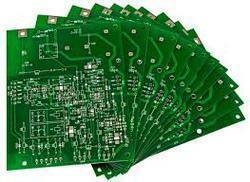 provides better quality Printed circuit board match with all competitive price & requirements.